RESERVATIONS Reservations can be made via the Ride it Out, LLC website or by telephone. After the client has agreed to accept the service, our fee will be charged after services have been rendered. Reservations for Groups require a 50% deposit to hold the service and the balance is due at the time of service. Cancellations that occur within 72 HOURS of the reservation time will result in a forfeiture of the fee and no refund will be given. Reservations with Ride it Out, LLC can only be made by persons 21 years of age or older. A Ride It Out, LLC representative will contact you regarding your reservation and provide you with more detailed information. 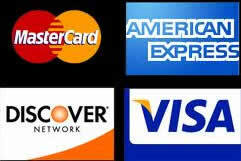 The full amount of the service will be charged to your credit card account after services have been rendered. Rates and payments do not include gratuities. Gratuity is appreciated in cash directly to the driver. Extended times for all rentals must be cleared with the driver in advance and are subject to availability. CONDITIONS 1. Rates are determined based on to and from destinations(zones), which includes up to two passengers. Additional passengers are $15.00 per passenger per trip. 2. Five miles or less, the minimum fee $15.00. 3. Clients will be given a five minute grace period to meet there scheduled pickup time. Wait time exceeding five minutes will result in an additional $7.50 every fifteen minutes or a portion there of. 4. Special prices are available if a package is purchased or a Columbia reservation has been made. 5. Additional stops are permitted, however an added fee of $7.50 every fifteen minutes or a portion there of will apply. 6. Absolutely No Smoking of any type will be permitted inside vehicles. Smoking on-board a Ride it Out, LLC vehicle shall incur a $150.00 cleaning fee assessed to the Customer’s credit card..
7. Use of illegal substances, unruly behavior such as fighting, verbal abuse, violence or anything deemed inappropriate or unsafe by the driver is grounds for immediate termination of the charter on site without refund. Ride it Out, LLC and its drivers reserve the right to eject any individual(s) whom they deem disruptive, intoxicated or pose a safety threat to themselves or others. 8. Any damages sustained to Ride it Out vehicles caused by negligence of any passenger will be the liability of the renting party. Standing on the seats is strictly prohibited. Any holes in the seats resulting from standing on seats will be considered damage and subject to damage fees. The minimum damage fee is $600.00. Any damage/cleanup fees assessed will be charged to the Customer’s credit card. 9. Any cleanup required as a result of excessive food/beverage spills or vomiting will incur a minimum charge of $300.00 for cars and SUV’s, and $600 for buses. 10. All valuables should be removed from the vehicle when left unattended. Ride It Out will not be responsible for any article(s) left in vehicles. If you discover a missing article and call our office, we will check the vehicle and if the article is recovered we will contact you and make arrangements to have that item delivered to you without fee. 11. Ride It Out requires clients to wear seat belts. Failure to wear seat belt will result in immediate cancellation of service and forfeiture of fees. We offer complimentary child car seats and booster seats upon request. Except in the case of willful misconduct or gross negligence of Ride It Out, its agents or employees, Client hereby waives any & all claims against Ride It Out, its agents or employees for injury, loss, or damage, including consequential damages, to Client or members of client’s party’s person or property from whatever cause. Client waives any right of subrogation with regard to the same. Ride It Out is not responsible for injuries that occur while riding in vehicles. Any injury that does occur must be reported immediately to the driver of vehicle. Injuries not immediately reported are treated as if they did not occur during the Contract. By placing reservations over the phone or on this website, you agree to these terms and conditions as stated on this website.